At Nexlaw, we combine our experience utilizing technology, process and design methods with our deep understanding of the business and practice of law to help organizations compete and grow in the face of change in the legal industry. Nexlaw principals Bob Beach and Rob Saccone have shared their business and technology expertise in the legal industry for nearly two decades, working with organizations from legal technology startups to large corporations and global law firms. We also work with a network of industry experts and professionals in a range of fields, allowing us to tackle a range of problems and solutions with confidence. ROBERT BEACH is an expert in technology strategy, design, and implementation. 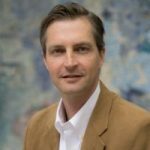 In his 15+ years in the legal technology space he has worked for several industry leaders, including Interface Software, LexisNexis, Thomson Reuters, and XMLAW, designing and building software solutions and providing consulting services to dozens of Am Law firms, as well as several firms in the UK. His work with law firms has encompassed everything from the development of strategic plans and business justifications to technology selection and implementation. He has direct, hands-on experience with most major law firm technology platforms and systems, including client relationship management, experience management, knowledge management, document/records management, time and billing, docketing, and intranets/extranets. He has most recently applied these skills to the design and implementation of emerging Legal AI solutions, including expert systems technology. A Lean Six Sigma Black Belt, he has advised law firms and corporate legal departments on legal process improvement and project management. Bob has worked over 10 years outside of the legal industry, providing business and technology consulting to Fortune 500 businesses, with a focus on CRM, sales process design, and opportunity management. Additionally, he led product management for a mobile learning startup for two years prior to starting Nexlaw Partners. He is also a frequent speaker at industry conferences. Follow Bob at @rgbeach and www.linkedin.com/in/rgbeach. ROB SACCONE is an entrepreneur and recognized expert in technology, knowledge management, business and practice optimization within the legal industry, spending the last 18 years in various senior roles at law firms, technology vendors and consultancies. 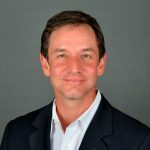 In 2003 Rob founded XMLAW and grew it to become an award-winning Inc. 5000 business and the leader for Microsoft SharePoint technology and expertise in the legal space. After XMLAW was acquired by Thomson Reuters in 2009, he held several senior positions with Thomson Reuters’ legal division as a general manager and vice president serving mid-to-large law firms globally. In 2015 Rob organized and launched SeyfarthLean Consulting (SLC), a subsidiary business of the innovative law firm Seyfarth Shaw, focused on helping corporate counsel optimize their operations and performance using technology, data analytics and lean service design. Also a Lean Six Sigma black belt, Rob served as SLC's CEO and lead a team of legal process improvement and project management professionals, data analysts and legal technology experts. Rob also invests in and advises early stage businesses in the legal industry, and was an early member of Law Angels, the first and only angel investment group focused on legal. A frequent speaker at legal industry events, Rob has contributed to publications and authored books and articles on a range of technology, business and practice topics. You can follow Rob on Twitter, Medium or at www.linkedin.com/in/rsaccone.